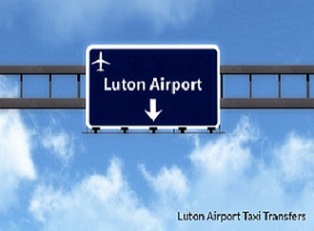 581 Travel is a Luton Airport Taxi service focused on getting you to and from your destination on time and in comfort. Whether travelling for business or pleasure, we assure a thoroughly dedicated and professional service. 581 Travel is proud to offer customers in the Luton and surrounding areas an airport taxi transfer service with a difference. By booking with us, customers can travel to and from the airport in style without having to worry about any aspect of their travel, for we take care of it all for you. We quote one fixed and guaranteed price for your trip and will not add any additional charges, should your flight be delayed, giving you complete peace of mind. You can therefore, rest assured in the knowledge that your Luton Airport transfer is pre-booked with no added expense to worry about. Whether you are looking for a Luton Airport Taxi service or transfer, we will meet and greet you with a choice of clean and tidy vehicles. With seating available to host from one to 16 passengers, you can ride in comfort during your trip to and from the airport. By operating a pre-booking service, we ensure you can book your journey at any time of the day or night, whenever you need transport. What’s more, we are open 365 days of the year. Making a booking with 581 Travel is straightforward. Simply visit our Bookings section of our dedicated website to complete your details. Or, if you would prefer, you can speak to our dedicated team by calling us on our telephone number, displayed at the top of the screen. If it is a Luton Airport Taxi service or a Luton Airport Transfer that you require, why not look around our website and get in touch to book your next journey with us. Credit/debit cards incur a 6.5% transaction fee.